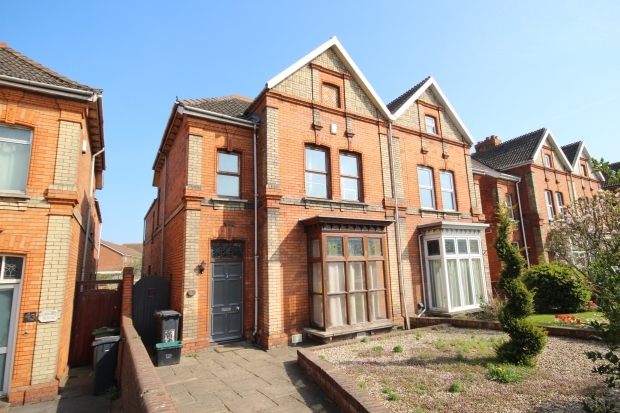 Taunton Road, Bridgwater is an exceptional and most impressive four bedroom bay windowed semi-detached house situated in a row of similar properties on the southern side of Bridgwater approximately ¾ mile from the town centre where all amenities and facilities can be found. The property which is believed to be over 100 years old is constructed of solid brick walling under a pitched, tiled, felted and insulated roof. The well presented and proportioned accommodation briefly comprises to the ground floor; Entrance Porch, Entrance Hall, Lounge with feature fireplace, Sitting Room with fireplace, large Kitchen/Diner and utility, whilst to the first floor there are Four Bedrooms and modern fitted Bathroom and separate WC. The property benefits from gas fired central heating, a security and newly installed fire alarm, a combination of double glazed windows and all quality floor coverings included in the asking price. The property is presented in excellent decorative order throughout and benefits from a large well enclosed garden with ample off road parking as well as a useful cellar which could be used for a variety of uses. This combined with the overall accommodation and facilities provided make it an ideal family property and as such early viewing is advised to avoid disappointment. The property also comes to the market with no onward chain. Local shops are also within a short walking distance, together with service station, supermarket anda regular bus service close by. ENTRANCE PORCH Inset core matting to floor. Attractive stain glass windows. Built-in cupboard housing electric fuse box and consumer unit. Fire alarm system. LOUNGE 13’11 x 13’9” Attractive box bay window with stain glass windows over to front. Feature brick built fireplace with inset log burner, tiled hearth and timber mantel over. Radiator. Picture rail, smoke detector, ornate ceiling rose and coving. SITTING ROOM 13’10” x 13’9” Feature box bay window to rear. Attractive ornate iron fireplace with tiled inset and wooden mantel over. Radiator. Smoke detector and ornate coving. KITCHEN/DINER 26’7” x 11’2” average overall with dual aspect windows to side and rear and door into garden. Kitchen Area Extensive range of modern matching floor and wall mounted cupboard units with inset 1¼ bowl stainless steel sink and drainer unit with rolled edge work surfaces and tiled surround. Space for electric/gas range cooker with attractive splash back and canopy over incorporating extractor unit and lighting. Matching breakfast island bar with seating. Plumbing for dishwasher. Dining Area Raised ornate iron wood burner set into fireplace. Range of further deep built-in multi door cupboards incorporating gas fired pressurised central heating boiler, factory lagged cylinder and immersion heater. Radiator. Space for American style fridge/freezer. Two smoke detectors. TV aerial point. UTILITY ROOM 4’3” x 3’2 Plumbing for washing machine with worktop over. GALLERIED LANDING Split level with window to side. Feature archway, ornate coving and smoke detector. BEDROOM 1 14’1” x 13’9” Windows to front. Fireplace recess. Radiator. Ornate coving. BEDROOM 2 14’1” x 13’10” Window to rear. Radiator. Coving. BEDROOM 3 11’2” x 9’1” Window to rear. Radiator. BEDROOM 4 6’8” x 6’1” Window to front. Radiator. Laminate floor. BATHROOM Window to side. Panel sided bath with mains fed shower over. Shower curtain & rail. Additional tiling to bath and shower area. Pedestal wash hand basin with ceramic tiled surround. Radiator. Close coupled WC. Laminate flooring. Combination of inset spotlight/fan. Separate cloakroom with close coupled WC. Wash hand basin. Tiled floor. Half height tiling to walls. Extractor unit. OUTSIDE To the front of the property the garden is enclosed by brick walling and ornate iron railings with gate and path up to the main entrance. The garden is mainly laid to stone chippings for easy maintenance. Side gate gives access to the rear garden comprising large decking area with recess area to one side and door giving access to CELLAR with power. The rear garden is of good size being approximately 110 ft in length and mainly laid to lawn with mature apple and pear trees. Timber framed shed. Up and over roller door provides vehicular access from rear lane to provide ample parking space for numerous cars. 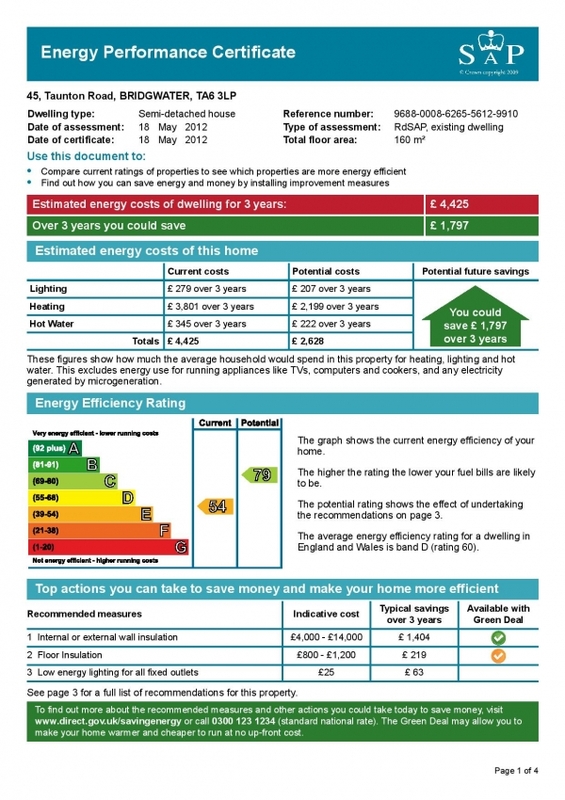 NB: The property benefits from a security system, recently installed fire alarm and and the UPVC double glazing of all windows to the front elevation on order. Viewing. By appointment with the vendors’ agents Messrs Charles Dickens, who will be pleased to make the necessary arrangements to view.